My love affair with the Muppets began in the 80’s when my children were very young. At the time we were living on the Treasure Coast of Florida without cable television. It was a lucky morning on the weekends when our antenna would capture Public Televison signal from Miami. 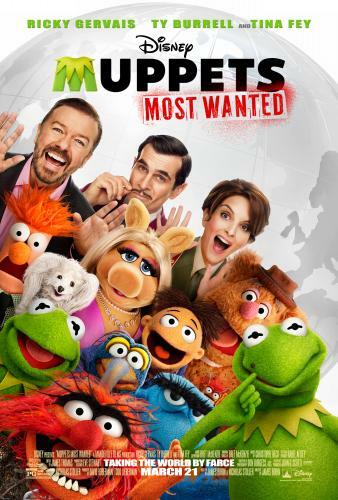 The new Muppets Most Wanted promises to entertain adults and children alike with all the “old characters” making an appearance. This entry was posted in Family, Fun, Grandmas & Grandpas, Kids, Moms & Dads and tagged family fun, kids, muppets, Muppets Most Wanted by llpitlwp. Bookmark the permalink. My love for Muppets goes back as far as yours! Our first sheepdog, Barkley, was named after a famous muppet, so I suppose he is one of my favorites, although I think Miss Piggy has the classic diva’s personality, and Statler and Waldorf are brilliantly conceived, as well. Statler and Waldorf…they are so funny. I think the original Muppets are always a welcome sight!